Achieve outstanding cleaning results with 1500ADE cold water pressure washer. This unit produces 1450 PSI and 2 GPM with its 2 horsepower pump. 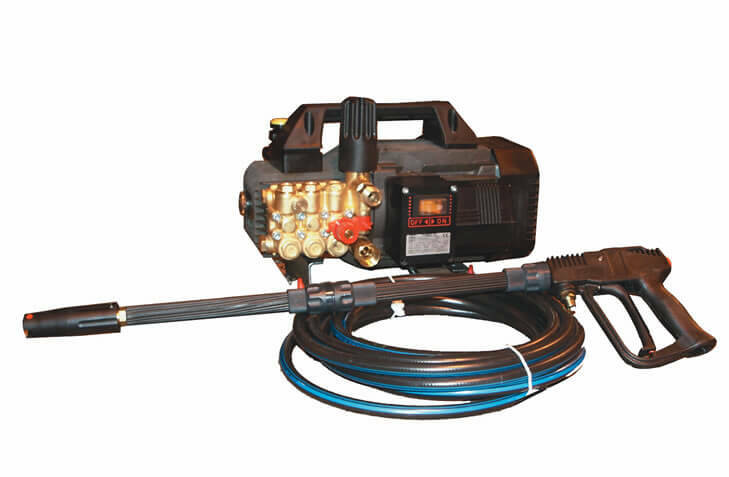 Enclosed model comes with electrical cutout thermal relief, triplex plunger pump with ceramic plungers and stainless steel valves, 35' power cord, chemical injection, and trigger gun and two piece wand. This model is excellent for jobs such as car wash, driveway, pool surrounds, and patio furniture cleaning. Optional pumps can handle fluids up to 180° F.